This entry was posted on October 29, 2010 by ScanTool.net Team. 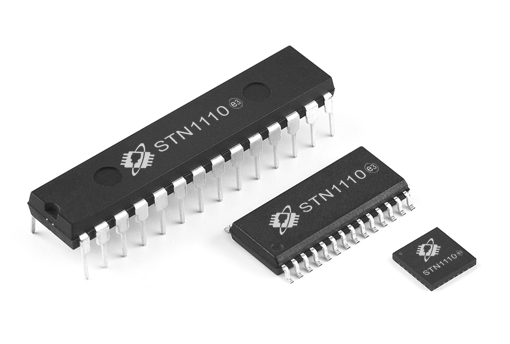 We are excited to announce the official launch of STN1110 -- the world's smallest, lowest cost multiprotocol OBD interpreter chip. The STN1110 puts OBD data within the reach of even the most cost-sensitive commercial and consumer applications. STN1110 supports all legislated OBD-II protocols. It features a secure bootloader, advanced message filtering, low power mode, and a large OBD message buffer. STN1110 also has full support for the ELM327 command set, while outperforming the original ELM327 IC in every category: stability, performance, and features. A complete overview and documentation are available on the OBD Solutions website.